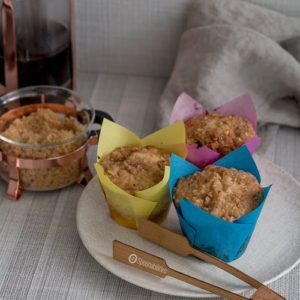 Apricot Cheesecake Muffins are moist and light with a crunchy sweet crumble topping. You will love these for breakfast or anytime snack. 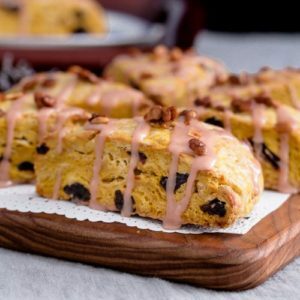 Scandinavian Delights Apricot Fruit Spread’s delicious flavor and small fruit pieces make the muffin a hit. You’ll love this recipe for Savory Corn Muffins with Ricotta Cheese, Cinnamon Clove Tomato Jam and topped with a Basil. 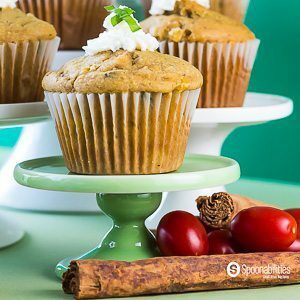 These muffins or cupcakes are a beautiful transition from summer with products like corn and tomato and the aromatic spices from the Fall. These muffins are delicious, sweet, savory and moist. 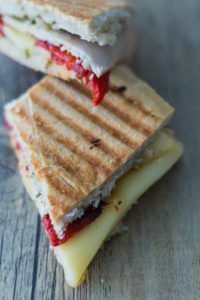 Smoked Turkey Artichoke Panini made with a Ciabatta sandwich roll, roasted red pepper and smoked turkey topped with mozzarella cheese, and spreadable Artichoke Lemon Pesto. Excellent for lunch or snack! 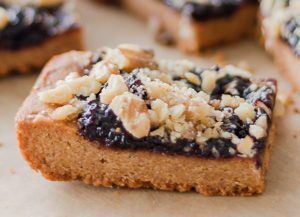 Peanut Butter & Jelly Bars are sweet and delicious, and this recipe is also Vegetarian. Good source of energy for breakfast or a snack. Made with Scandinvian Delights Blackberry Fruit Spread, think PB&J sandwich + Energy Bars. 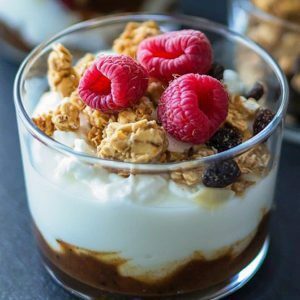 Granola Yogurt Parfait with Dried Fruit Chutney is a recipe great for breakfast, a snack, lunch or dessert. You can have a lot of fun making parfaits because you can add any toppings or fixings to add different layers of flavors and have fun with the colors and texture. 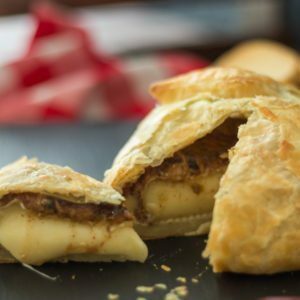 When I first saw a recipe for Baked Brie with almond butter, I was curious and intrigued about this combination. I used our Jalapeno Raspberry Jam which gave it just the right amount of kick without being too spicy. Best part of this appetizer is that all of the ingredients are already pre-made. It’s an Easy 1-2-3 Recipe with no stress for your next party. Cheddar Cheese Puffs with Jalapeño Raspberry Jam is great as an appetizer or a snack. 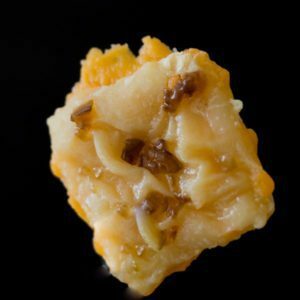 Just be careful because they are very addicting with a buttery flaky pastry and a chewy cheddar cheese center. 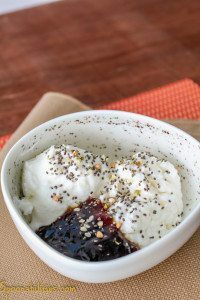 Greek yogurt, Cottage Cheese & Jam is a healthy meal for breakfast or snack. A great combination of the Greek Yogurt, Cottage Cheese and one of the following jams: Fig Pomegranate jam or Strawberry Chipotle or Triple Berry . And finish this dish sprinkling some Chia Buckwheat and Hemp Cereal for a nice crunch & texture.